Welcome to Cedar Gate Farm! 2019 kidding season has begun! Check sale page to see available kids. Our mission is to provide an environment and breeding program to produce Nigerian Dwarf dairy goats raised for excellence in dairy quality, conformation and temperament. We are participating in DHIR milk testing in order to track the performance of each doe in the milk pail. Since we are determined to stay small in numbers, only does who are considered good milkers are retained. What this means for you is when you purchase your kids for dairy stock, they come from milkers who have been selectively bred to produce milk. CAE and Johnes free. The whole Cedar Gate herd is tested annually. Testing has been done for CL, TB and Brucellosis (all negative), and no CL abscesses have ever existed in our herd. Test results are available upon request. We believe in farming as free of chemicals as possible. Our goats are fed quality grass mix and alfalfa hay, and our own mix of organically grown grains. In season, our goats are allowed to spend their days in one of several pastures. They have free access to kelp and loose minerals at all times, receive copper and selenium supplements, and an annual cd/t immunization. Herbal wormer is given weekly (chemical wormers, antibiotics and other drugs are used sparingly, and only when absolutely necessary). 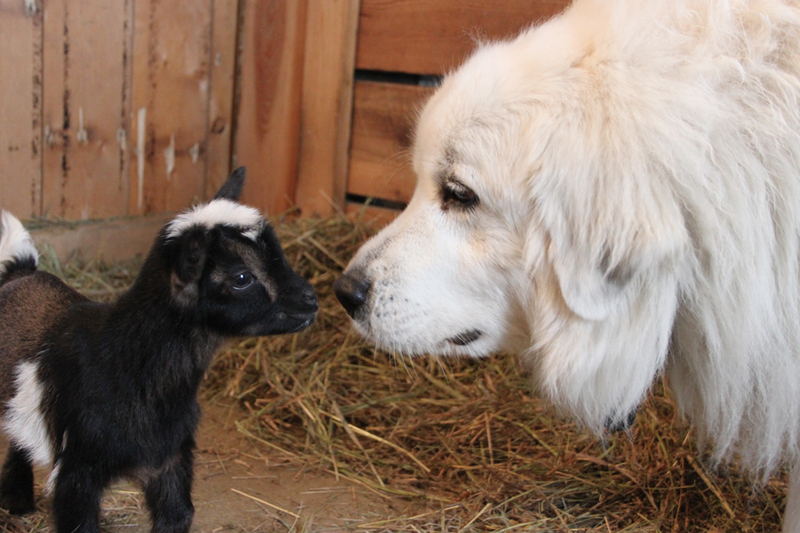 Mentoring offered to new goat owners. It is important that all customers are happy with their new kids and that they receive the best of care after leaving our farm.